Home/Blog/It’s All a Matter of Perspective! Read this from top to bottom. When you’re done, read it from bottom to top. I prefer the bottom-to-top version. And I love the way the English language works. Now read it from the bottom to the top. Isn’t that awesome?! 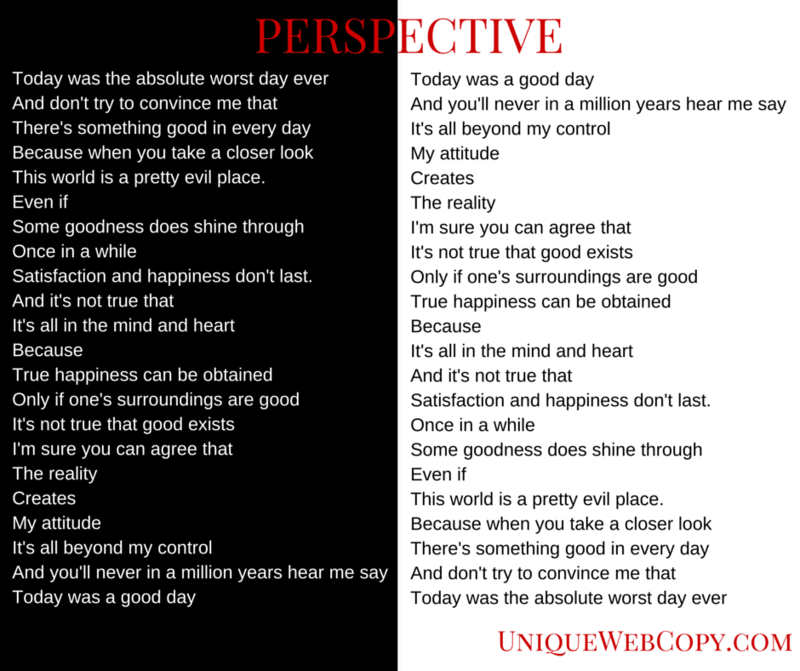 By Angie Papple Johnston|2015-07-24T12:43:04+00:00July 24th, 2015|Blog|Comments Off on It’s All a Matter of Perspective!